One week ago a referendum was held in the Netherlands on Ukraine’s Association Agreement with the EU. On the eve of the referendum, the Arthouse Traffic company headed to Amsterdam to hold Days of Ukrainian Film. 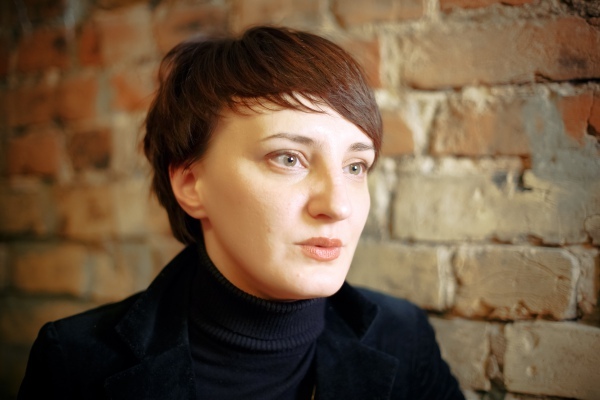 Cultural manager Iryna Vikyrchak gave a presentation of the Ukrainian literary programme at the Read my world festival – a meeting with Katia Petrovska, author of the novel Maybe Esther, and Bohdan Lohvynenko, journalist and traveller. Talented Ukrainian children – singers and athletes – performed in Amsterdam after the Netherlands had filmed videos of them within the framework of the “Hop, Nederland, Hop” project. That’s a textbook example of cultural diplomacy in action, to be precise, of the first coordinated massive attack: when politics is powerless, are the muses our only hope? The American political scientist Milton Cummings calls cultural diplomacy “the exchange of ideas, information, values, beliefs and other aspects of culture to foster mutual understanding”. Jerzy Onuch, a practicing cultural diplomat, ex-director of the Polish Institute in Ukraine and the USA, believes that “cultural diplomacy is the selling of a country’s image by means of culture”. Such pragmatic and utilitarian terminology when talking about culture!? Nothing transcendental, pure management. But only not conjuncture projects “for export”, art “Potemkin villages” or official “friendship of peoples”, but the promotion of worthy art products in the right place and time. Cultural diplomacy is the “French Spring” festival and the Malevich Award, for instance. Art lends elegance and charm to political strategies. Respect for Russia in foreign media still hangs on aspects of culture, not least of which are classical ballet and Tolstoy’s War and Peace. Regimes may change but the emotional memory remains. THE UKRAINIAN INSTITUTE OR TARAS SHEVCHENKO INSTITUTE? In June 2015, the working group established under the Ministry of Culture presented the concept of creating The Ukrainian Institute (or Taras Shevchenko Institute), the main channel of cultural diplomacy. It seems that the year-long talk of a strategic need for the creation of a cultural institution that will radiate Ukrainian culture around the world were formed into a project in response to the urgent need to counter Russian propaganda in the world during the Russo-Ukrainian war. Misunderstandings and aggressive disputes began at the name stage. The Taras Shevchenko Institute or the Ukrainian Institute: two concepts, two ideologies. The director of the Polish Institute in Kyiv Ewa Figel says that their institution was also subject to discussions at the stage of creation – to be named in honour of the Polish poet Adam Mickiewicz or simply use the name of the country? The rational point of view got the upper hand: since the name Mickiewicz, known at home and in Europe, is unlikely to be familiar to people in other parts of the world, it was decided that it would be called the Polish Institute. “Sometimes the fact that we call ourselves Goethe misleads people, who think that we are a research institute of Geothe’s work. 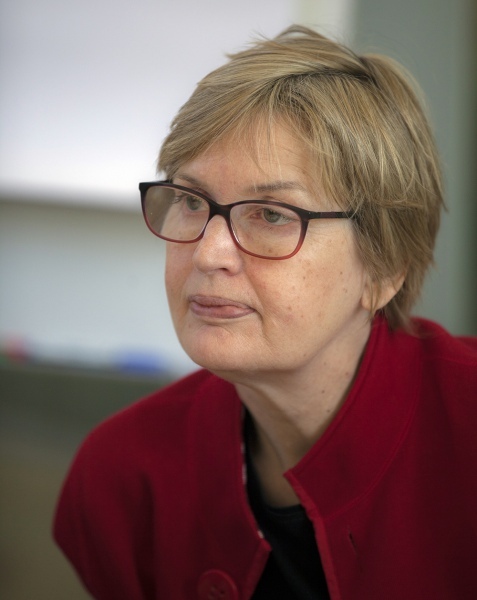 I think what is more important than the name is the development of a profile, the identity of the institute has to have a flexible model that would make the institute not simply an institution but also maintain its life,” says Goethe-Institut director Beate Köhler. Former Minister of Culture Vyacheslav Kyrylenko announced that the government would take the decision on the institute by the end of 2015. The decision was not adopted, instead public events at the Ministry of Foreign Affairs under the leadership of (now former) Ambassador-at-Large and Special Envoy Dmytro Kuleba resulted in the creation of the Public Diplomacy Office last December, which includes the cultural diplomacy department and a cultural diplomacy club to boot. Is this competition? According to the logic of the Ministry of Culture, it should develop the cultural infrastructure and cultural industries in the country so that this institution, subordinated to the Ministry of Foreign Affairs, is able to promote Ukrainian cultural products on the external market in accordance with the state’s foreign policy. The draft law “On the Ukrainian Institute” discusses the institute being subordinated to the Cabinet of Ministers of Ukraine. It has historically been the case that diplomats were involved in the creation of cultural institutions with an external focus: in 1883 at the initiative of Paul Cambon, ambassador to Tunisia, Spain and the UK, the Alliance Française non-profit association was founded, and the British Council was initiated by Sir Reginald Leeper, a Foreign Office civil servant and ambassador. The British Council, Institut Français and Goethe-Institut are recognised as leaders and pioneers of cultural diplomacy with large budgets, experience of diversifying financial sources and global cultural projects. 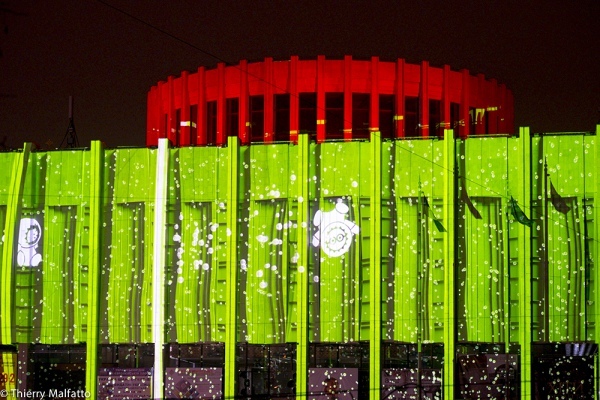 The Polish Institute, created in 1998 by using a readymade template, shows a very spectacular and effective activities strategy: it is always present in the mediascape, its projects are often an important part of the Ukrainian cultural process, its rational and low-budget economy is an example of creativity being more important than big budgets. Goethe-Institut is a non-profit organisation with its headquarters in Munich that was founded in 1925 as the German Academy. The institution has been operating in its present form since 1951. Goethe-Institut collaborates with the German Foreign Office on the basis of a general agreement. Today, the GI network consists of 159 offices in 98 countries. Goethe-Institut is divided into 12 regional offices – Ukraine, where the GI has been active since 1993, is included in the Eastern Europe and Central Asia region. The Munich office of Goethe-Institut and the Foreign Office in Berlin reached a common agreement; the German embassy is informed of the Institute’s goals and also plans certain activities based on its own objectives. Clear coordination of actions prevents the problem of duplication of functions. Until 2011, Institut Français was called the Centre Culturel Français. But as a result of reform of the Ministry of Foreign Affairs, the Service of Cultural Cooperation of diplomatic missions was merged with French cultural centres, rebranded and changed its name. Institut Français operates under the Ministry of Foreign Affairs: the IF is the cultural department of embassies overseas and the director of the institute is always an advisor to the ambassador. French institutes in all countries rely on the Alliance Française network, a non-profit cultural and educational organisation that also promotes and disseminates the French language and culture. “Alliance Française is present in 6 Ukrainian cities; in the past it was also present in Luhansk, Donetsk, Sevastopol and Simferopol. When peace returns, they will go back to work as before,” says executive director of Institut Français Matthieu Ardin. “The British Council was founded in 1934. One of its key tasks was countering Nazi propaganda in Eastern Europe through the dissemination of information about other development projects and ways of life. This gained much importance during World War II. The British Council has British offices in Manchester, Edinburgh, Belfast, Cardiff and Cambridge, with its headquarters in London and 190 offices in 110 countries and regions. 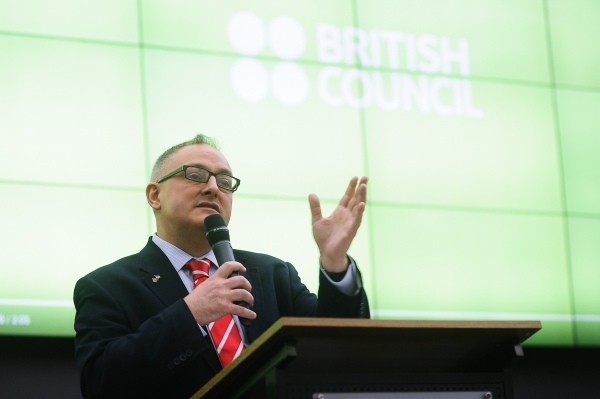 The British Council has been operating in Ukraine since 1992. “We get only 20% of our budget from the state, the remaining money is proceeds from English language courses, administration of exams, providing technical support for a variety of international donors, partnership, sponsorship,” says Williams. The Polish Institute was created under the Ministry of Foreign Affairs of Poland in 1998. Today, the PI operates in 24 countries. Sponsors and private funds account for 10% of the institute’s total budget. Now, when young Polish diplomats do internships in different departments, they must not only be well versed in the political aspects but also in the cultural aspects of diplomacy. 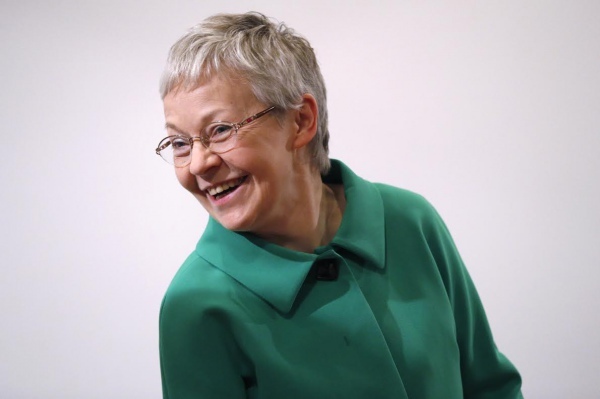 “I cannot imagine that when going on a mission to any country, you would not first learn about the history of that country, its culture, literature, because diplomats have to meet and talk to different people not only about politics and the economy.” Ewa Figel knows what she is talking about as she underwent retraining from political to cultural affairs. In the late 1990s, Ewa Figel worked with political parties and protocol and was the director of the Eastern Department of MFA of Poland. The task of cultural institutions depends partly on the degree of their autonomy. The motto of Goethe-Institut is the following: “Language, Culture, Germany”. 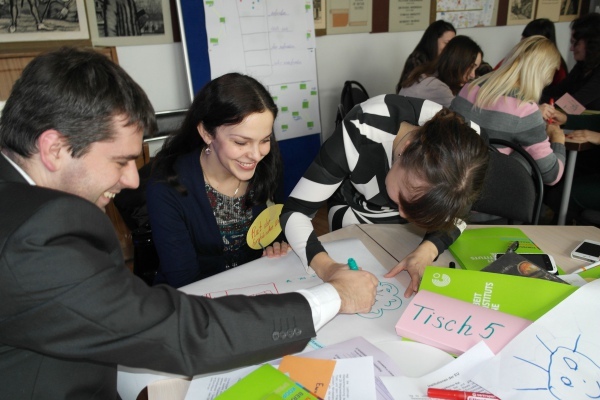 Goethe-Institut develops annual plans for the country every year, for the institute: there are 8 plans. Five of them are global themes, and three relate to the organisation, staff and network building. The institution has five permanent thematic areas: 1) supporting the German language; 2) cultural dialogue; 3) information work (with the library as a component of it); 4) the development of an education programme; 5) the European context, collaboration with other European institutions. These are the main objectives, which include within their framework the thematic fields. For example, the current strategy includes the theme of urbanism, development of a city’s cultural institutions, the participation of citizens in the life of a city. Another subtheme is the participation of civil society in social, political and cultural processes. Ewa Figel says that once a year, in early summer, the directors of Polish Institutes from all over the world meet in Warsaw around one table with officials of the MFA culture department to decide what they want to tell the world next year about Poland and Polish culture. The employees of the central office select from pre-submitted proposals and ideas 4-5 main themes, and during this group meeting they work in brainstorming mode. Based on the example of plans for 2016, the director of Polish Institute explains the logic behind the work of the PI with diplomatic tasks. This year, there are four main themes. “The first one is ‘New Poland, New Europe’,” says Ewa Figel. “We will talk about which European political and cultural structures Poland is active in. This year we celebrate the anniversary of Polish-German reconciliation; we will share from our own experience how the hostile attitude of Germans towards Poles and that of Poles towards Germans was overcome, what we did to get to be allies. The second one, within the framework of the anniversary of the Visegrad Group, is our desire to talk about our collaboration with the Czechs, Slovaks and Hungarians. The third one relates to the NATO summit in 2016 that will be held in Warsaw. This is not just an element of political activities but also cultural ones. During the seminars, we would like to focus attention on the fact that NATO is not only a structure for security but also has a powerful economic aspect. NATO member countries cooperate closely in the economic sphere. The main trend that employees of cultural centres emphasise is work with relevant problems, themes and sectors for a particular country. Not to impose what is in fashion in our country or what our President likes, but to look for figures, events, issues that resonate with a particular country. Therefore, there should be an individual strategy for each country or region. The Goethe-Institut programme also includes a regular cultural programme – exhibitions, concerts, book presentations – but the emphasis remains on opportunities for educational collaboration: the story is not about the fish but about the fishing rod. This year, Goethe-Institut in Ukraine plans to collaborate with local partners on issues of urban development (and not just in Kyiv) jointly with the Frankfurt Book Fair – taking part in the Book Arsenal, carrying out educational programmes with the focus on Eastern Ukraine, training publishers, and collaboration in theatre. 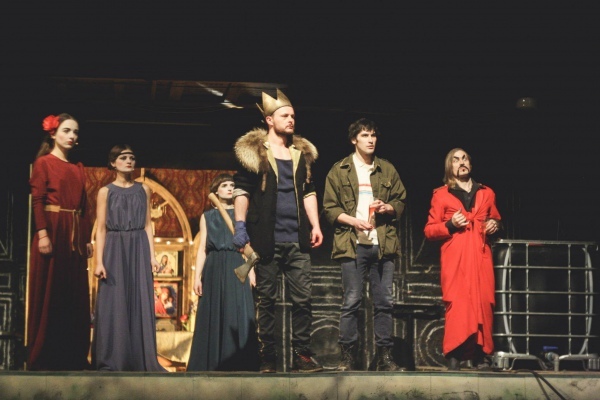 “Theatre has of late been one of the main thematic areas both in Germany and in Ukraine, since theatre is capable of reacting rapidly to political change and processing it in aesthetic terms. In Ukraine, the first Theatre of Displaced People is already active, which represents the movement from Eastern Ukraine of refugees, as well as their global movement. We will establish a collaboration network between budding theatre festivals in Ukraine and those of Austria, Germany and Switzerland,” says Beate Köhler. 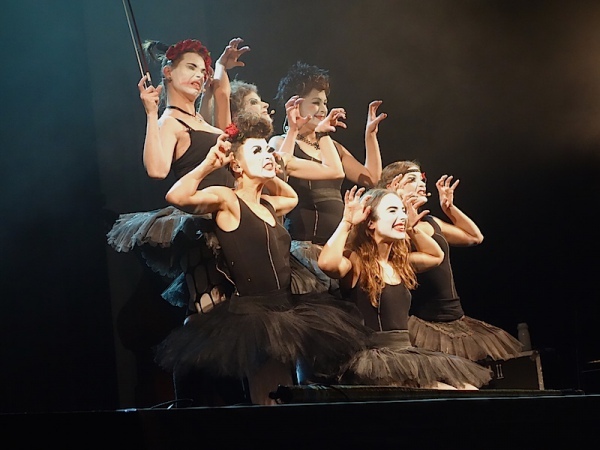 Matthieu Ardin talks about the benefits and the effectiveness of co-production and gives the example of the Antigone play staged by French director Lucy Berelovich with the actors of Dakh theatre and the girls from the Dakh Daughters freak cabaret. 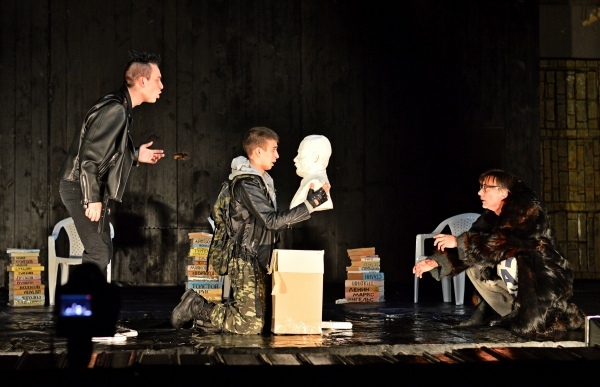 The success of the performance in Kyiv and the tour in France (13 performances) was so big that this play will be shown once again in France in 2017 and, if finances allow it, in Ukraine too. “I would like to see us, either this year or next, stage a joint play or ballet once again with the Ukrainians,” says Ardin. The regular activities of Institut Français are Days of French Film and the Skovoroda Prize, which is awarded for the best translation from French into the Ukrainian part of the Publication Assistance Programme of the Embassy of France and Institut Français. Matthieu Ardin, who is in his second term at Institut Français in Ukraine, says that in the past Ukrainians would address the IF with the following words: we have a great project, give us money. But now they say: we understand that there is a crisis, that it is difficult to work in Ukraine, let’s do a joint project. And that’s already a different approach. Therefore, this year the British Council in Ukraine has an unprecedented budget of GDP 1.3m. In August 2014, when the Parliament of Ukraine adopted the new Law “On Higher Education”, the British Council launched a programme in collaboration with the Ministry of Education that includes the exchange of experience of opinion leaders in this sphere, rectors, managers, training sessions and discussions. In addition, the British Council is working with the GoGlobal programme and the Ukraine Speaking project implemented by GoGlobal. A significant part of the budget of Institut Français, the British Council and Goethe-Institut is made up of money earned from language courses and administration of exams. Ewa Fligel says: “We cannot compare our budget (150,000-160,000 Euros a year) with the budget of Goeth-Institut or the British Council. After all, they rely on language teaching too. Therefore, we decided that we needed to take part in symbolic cultural events in each country. We have found a good method that works equally well in Western Europe, Eastern Europe and many other countries: it’s better to have fewer events but they should be symbolic . Simon Williams says that the British Council focuses on contemporary art because it is less known around the world and needs support, in contrast to traditional culture. “For example, when we hold the British Film Festival, we do not bring big commercial projects because they will be shown in cinemas anyway, instead we show independent, contemporary films,” says Williams. “True, there are double-decker buses in London, red telephone booths and soldiers in bearskin hats, but there are also other aspects to British culture, they are very exciting and varied. According to the director of the Polish Institute, we must try not to limit ourselves to one genre, because it is difficult to predict what would be interesting. “Any genre we consider – be it theatre, literature or music –always draws from the past and one must talk about heritage in a modern key,” says Ewa Fligel. “This is the main thing: do not get hung up on the past, but rather combine the past and the present and achieve what we want to do. In the referendum that was held in the Netherlands, most of those who came to the polls to vote said No to Ukraine. The traditional method of putting out a fire by shaming did not work. This is just another signal that Ukraine needs a channel to broadcast “soft knowledge” about itself, starting with the basics: where the country is located on the world map. A cultural institution can be just such a channel – provided that the rules and principles will be agreed and set down “on the shore” first. By specialists and experts. So as to avoid inventing a bicycle with square wheels.